Naquela noite de 2004, foi celebrado o aniversário de Si Gung (foto) num restaurante próximo dali em frente a praia. Eu(foto) , que estava presente, pude desfrutar daquele momento importante para tantas pessoas. Mas naquele momento ainda não entendia o Kung Fu como algo além de socos e chutes. Na verdade, fazia questão de que fosse assim. E por isso, perdia a amplitude de como as coisas funcionavam dentro do Clã, no seu momento mais importante como o aniversário de seu líder, no caso, Si Gung. That night in 2004, we celebrated the birthday of Si Gung (photo) in a restaurant near there in front of the beach. I (photo), who was present, could enjoy that important moment for many people. But at that time I did not understand Kung Fu as anything else than punches and kicks. In fact, I insisted that it was so. And so I lost the breadth of how things worked within the Clan, in its most important moment as the birthday of its leader, in this case, Si Gung. 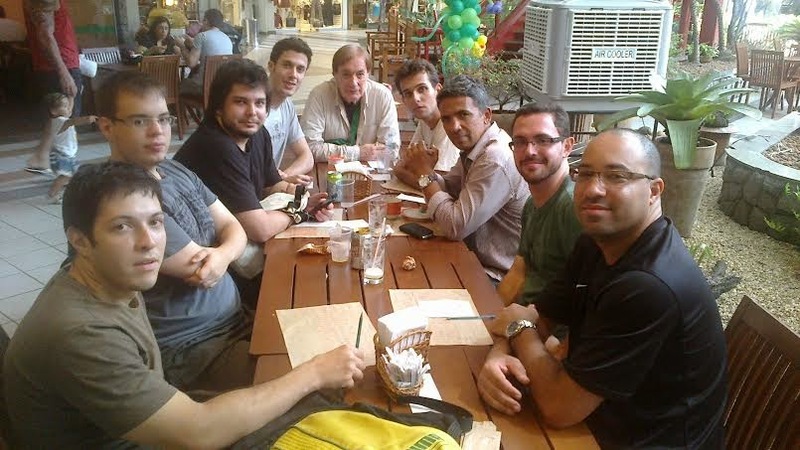 Foto na antiga residência de Si Fu Julio Camacho, na qual encontramos Si Baak Anderson Maia, diretor do Núcleo Belo Horizonte, e Si Sok Felipe Soares, hoje Mestre Qualificado pela Moy Yat Ving Tsun. Eu não conseguia ver que ao ajudar na preparação, fosse do aniversário do Si Fu, ou do Si Gung neste caso, que começara dias antes(como vemos na foto acima) muito podia ser aprendido. Como diz François Julien em um de seus livros: "...Em todos os casos, quem sabe apoiar-se no potencial de situação pode facilmente levar a melhor. Ou segundo a expressão de um comentador, 'com pouco esforço' pode obter-se 'muito efeito'..."
I could not see that to assist in the preparation,of Si Fu or even Si Gung b-day , which had begun days before (as we see in the photo above) much could be learned. As François Julien says in one of his books:. "... In all cases, the one who relying on the potential of situation can easily have advantage. Or in the words of one commentator, 'with little effort' can be obtained 'lot of effect' ... "
Si Gung(foto) terá seu aniversário celebrado no Rio de Janeiro, e por isso, os membros das Famílias Kung Fu de nosso estado começaram a se mobilizar para tal. Si Gung (photo) will have his birthday celebrated in Rio de Janeiro, and therefore members of the Families of our state began to work for it. Membros do da família Moy Jo Lei Ou se reuniram para discutir as linhas gerais para a organização de um doa eventos mais importantes na nossa família Kung Fu, o aniversário do líder do Clã Moy Yat Sang, Mestre Leo Imamura. O almoço contou com a presença de oito membros do núcleo Barra além do próprio Si Fu. Todos participaram com muitas ideias e cada um levou um pouco das suas experiências pessoais. Um evento com mais de cem convidados já é complexo em si, no caso do Kung Fu o evento exige um planejamento ainda mais complexo. Cada detalhe é importante, por isso após dar oito voltas no shopping com dois membros o Si Fu ajudou manter os planejamentos sempre de forma realista. Isto porque com tanta complexidade fica fácil se perder, neste caso é melhor cortar as folhas do que cortar a raiz. O Si Fu nos encorajou o tempo todo a planejar o melhor evento que pudermos imaginar, desde que seja viável, pois o mais importante é o resultado final. Neste caso o resultado final não é o planejamento e sim o evento em si. Para o evento fluir da melhor forma possível cada membro assumiu a responsabilidade de começar já os preparativos. 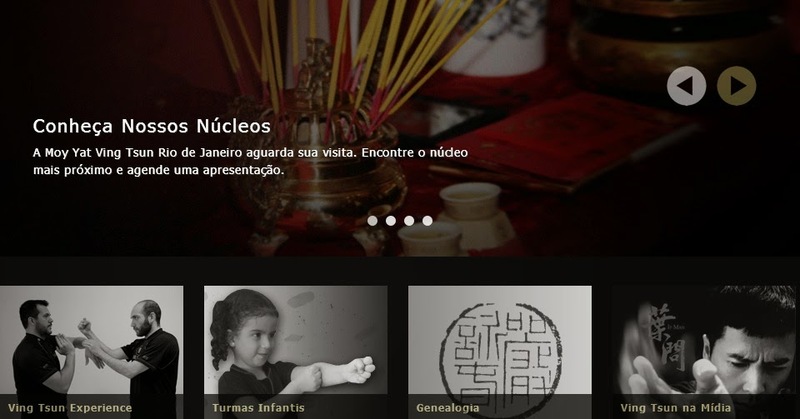 O mais interessante de organizar um evento como esses com os irmãos kung fu é que fortalece os laços de amizade e de certa forma o evento principal gera vários eventos secundários. Nesta reunião ficou latente que precisaremos nos reunir outras vezes. Até agora a empolgação é grande e todos querem participar. Pelo que vemos todos os dias no Mo Gun só podemos esperar que o evento será uma grande experiência para todos nós. Members of the Moy Jo Lei Ou family met to discuss the outline for organizing one of the most important events in our family Kung Fu , the birthday of the leader of Clan Moy Yat Sang , Master Leo Imamura . The lunch was attended by eight members of the MYVT Barra School including the Si Fu himself. All participated with many ideas and each one took a bit of their personal experiences. An event with over one hundred guests is already complex in itself, in the case of a Kung Fu event it requires more complex planning. Every detail is important, so after giving eight laps around the mall with two members, Si Fu helped us to keep the schedules always realistic. This is because with such complexity is easy to get lost, in this case it is better to cut the leaves than cutting the root. The Si Fu encouraged us all the time to plan the best event we can imagine, as long as it is viable, because the most important is the final result. In this case the final result is not the planning but the event itself. So that the event can flow on its best way possible, each member took responsibility of already beginning the preparations. The most interesting of organizing such an event with the kung fu brothers is that it strengthens the bonds of friendship and somehow the main event generates multiple secondary events. In this meeting it got clear that we will need to get together other times. By now the excitement is great and everyone wants to participate. From what we see every day in Mo Gun we can only hope that the event will be a great experience for all of us.